The Hi Roller puts a unique twist on a familiar design. 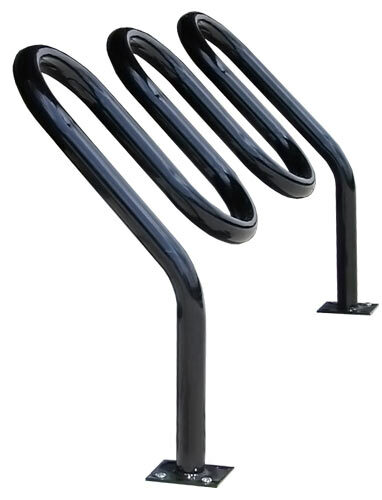 By adding an extra bend to a rolling-style rack, the Hi Roller provides a much greater degree of bicycle support than its purely vertical counterpart. The Hi Roller can be ordered for in-ground or foot mounted installation. 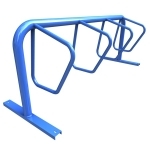 This rack uses thick pipe construction and allows for one of the wheels and frame to be secured using a u-style bike lock. The Hi Roller is available in various lengths to meet your bike capacity needs.